That is less than $2500 per hunter, 3 animals each! Africa Hunt Lodge takes you on an African Safari loaded with Record Class animals. This is not an Average or Budget minded African Safari. With access to over 100,000 acres of multiple private hunting concessions located all within 30 minutes from your Lodge near Thabazimbi, you will not be searching morning and late afternoon, day after day, looking for your World Record Class animals. We provide the opportunity to hunt the largest Kudu, Wildebeest, Sable, Blesbok, Warthog, etc in the World! 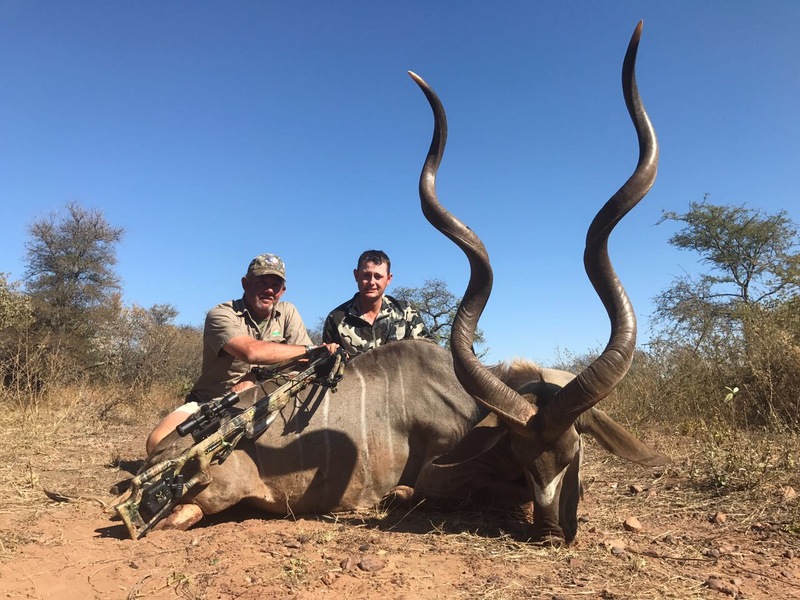 The methods of hunting that we employ include Safari Style Hunting from High Rack Trucks, Spot and Stalk Hunting, and Still hunting from Blinds located above water holes. We can accommodate Rifle Hunting, Bow Hunting, Crossbow, Black Powder, and Handgun African Safaris. We can accommodate hunters of any age and experience level. We love to have 1st time hunters join us, and we take great pride in helping to educate children and beginner hunters about the responsibilities of hunting. The majority of our Africa hunt packages are 7-10 days for 5-10 animals. This allows our hunters to hunt without overabundant pressure and time to see plenty of African game animals. The Following Animals may be added to any African Safari Hunt Package - See our Trophy Fees Page for Individual rates. To Book your Hunt, Please call us at our US Booking Office +1 830-367-7611, or complete our Online Reservation Page Here.